The Tiger represents courage, tenacity and power. Tiger develop strong bones and a strong back. adversaries. The Dragon helps develop inner strength. 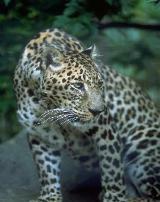 The Leopard represents speed and agility. The Crane represents balance and gracefulness. and throat being common targets.